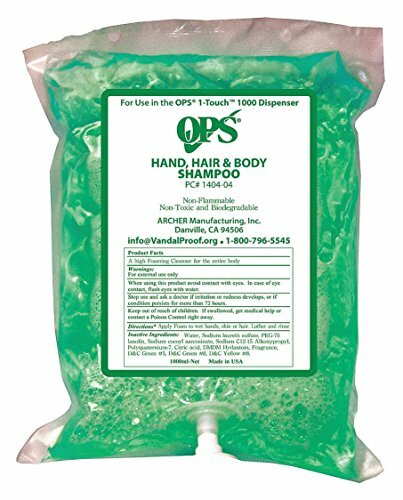 Body Wash/Shampoo/Shave Cream, 1000mL, PK2 by OPS at ETCF Blog. MPN: 1405-04G. Hurry! Limited time offer. Offer valid only while supplies last. ' Body Wash, Shampoo and Shave Cream, Size 1000mL, Form Foam, Fragrance Floral, Formula Liquid, Color Green, Package Type Bag, Uses Dispenser Mfr.